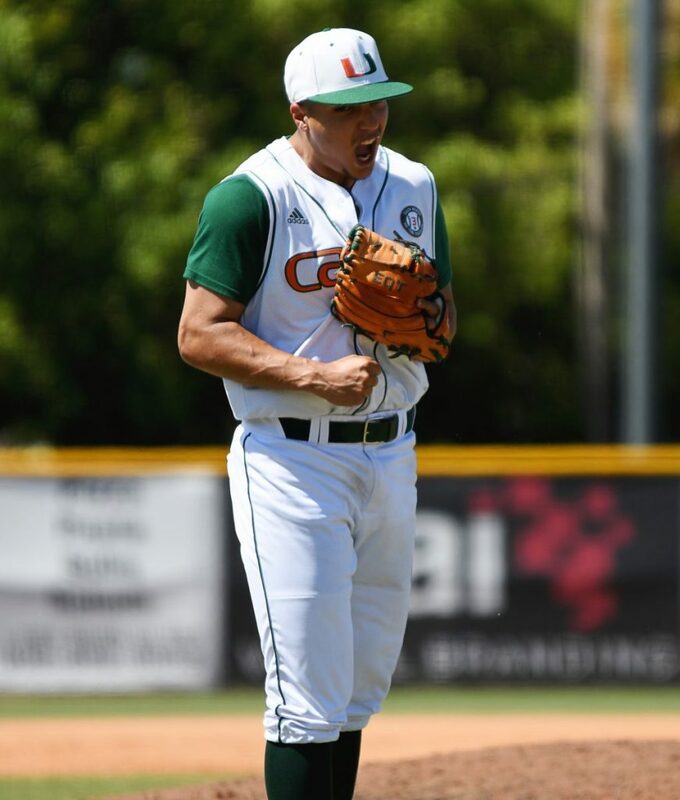 Led by junior pitcher Andrew Cabezas, UM (12-11, 6-3 ACC) is back over .500 for the first time since starting the season 2-1. 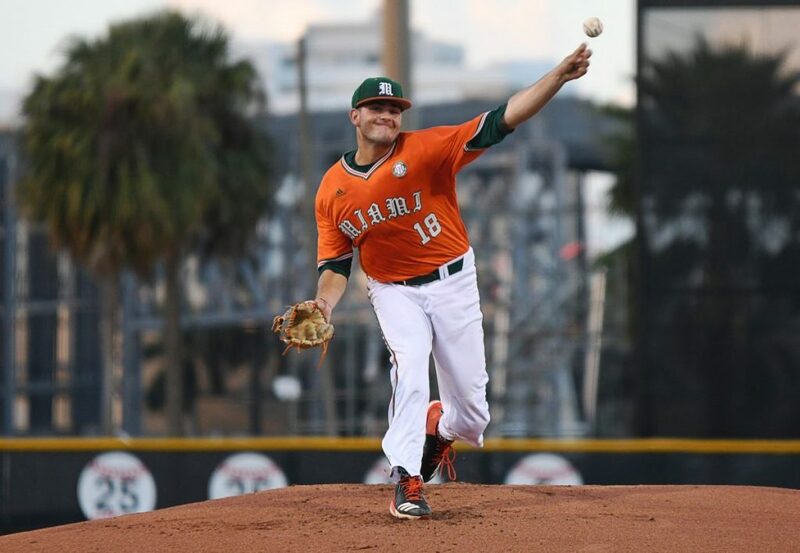 Cabezas (2-2), who started the season as a closer and moved into the starting rotation March 18 against Duke, pitched six quality innings. 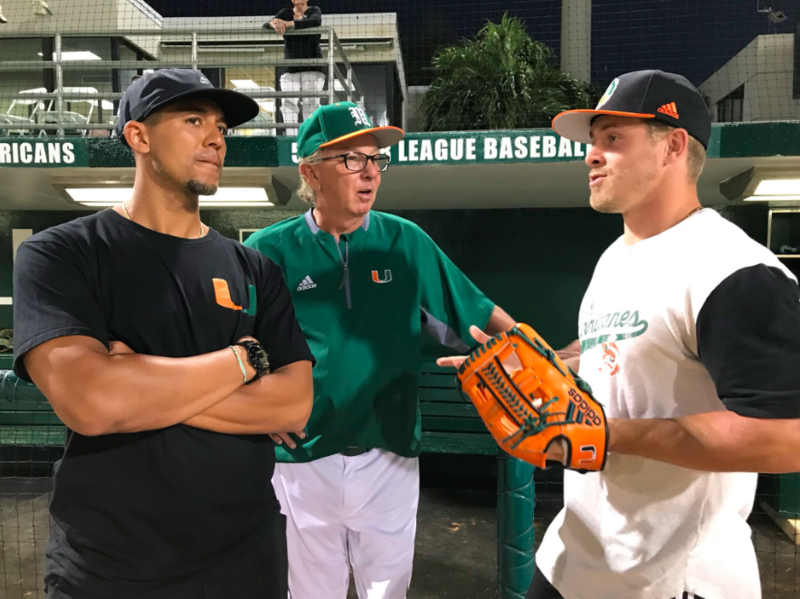 McKendry (4-2, 2.04 ERA) allowed just three hits while throwing a career-high 114 pitches in a pitchers’ duel against Daniel Lynch (2-3), who pitched seven strong innings of his own. 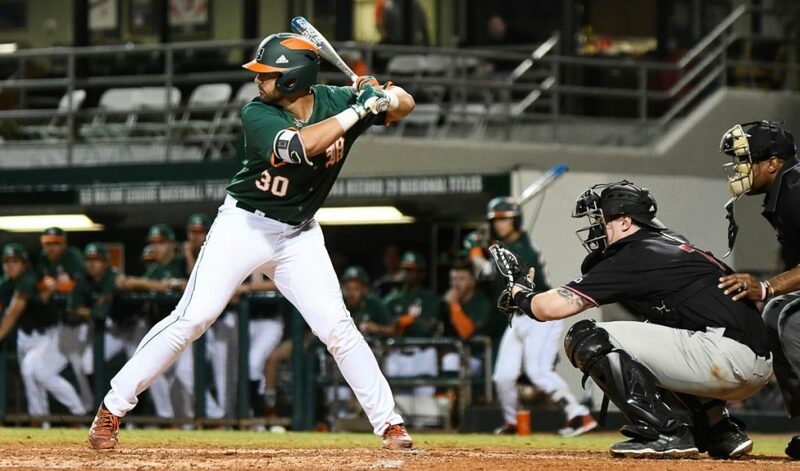 The Hurricanes (11-11, 5-3 ACC) secured a series win and will have a chance for their first sweep of the Cavaliers (13-9, 3-5 ACC) since 2008. 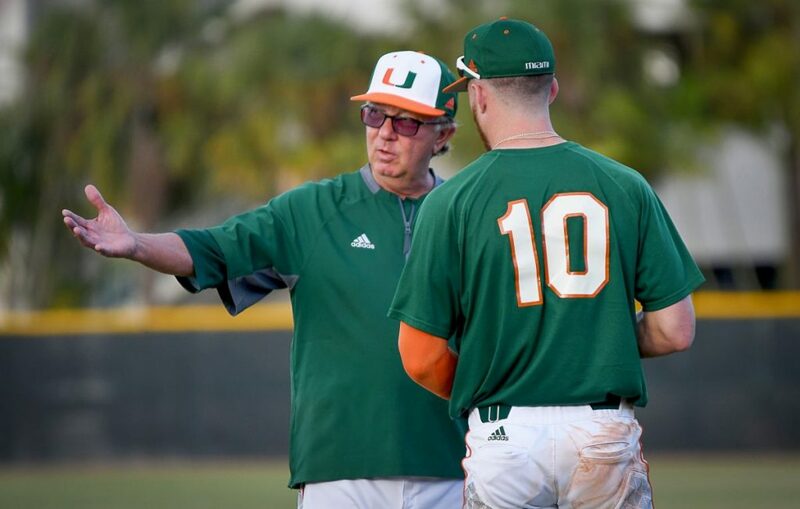 It looked like the Hurricanes were going to lose another close game, but junior Frankie Bartow (1-0) took just six pitches to get out of the top of the 11th inning, and UM broke through with bases loaded in the bottom of the inning for the victory. 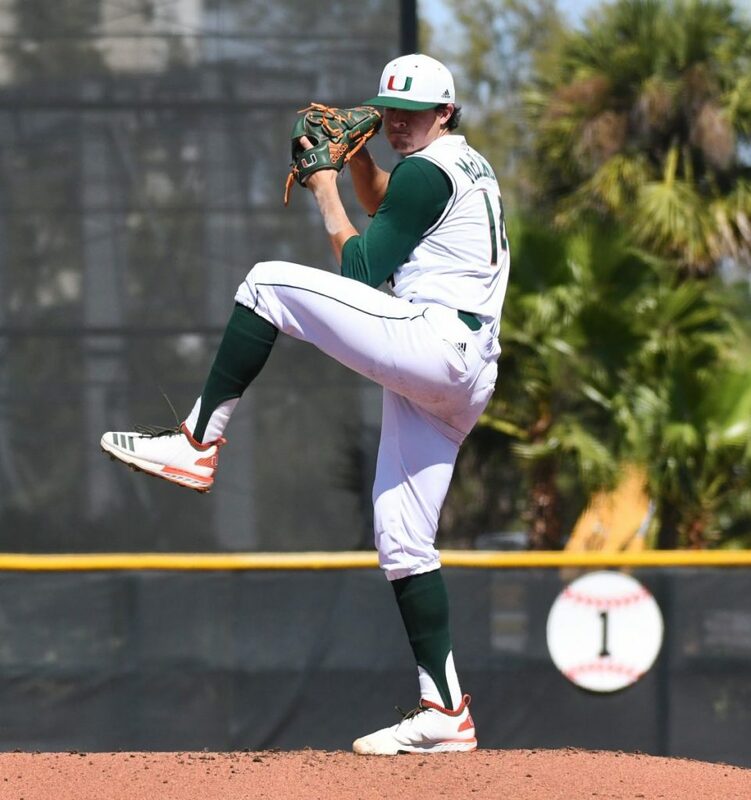 Sophomore pitcher Evan McKendry led UM with another strong outing, tying a career-high with 10 strikeouts and allowing just one run in six innings. 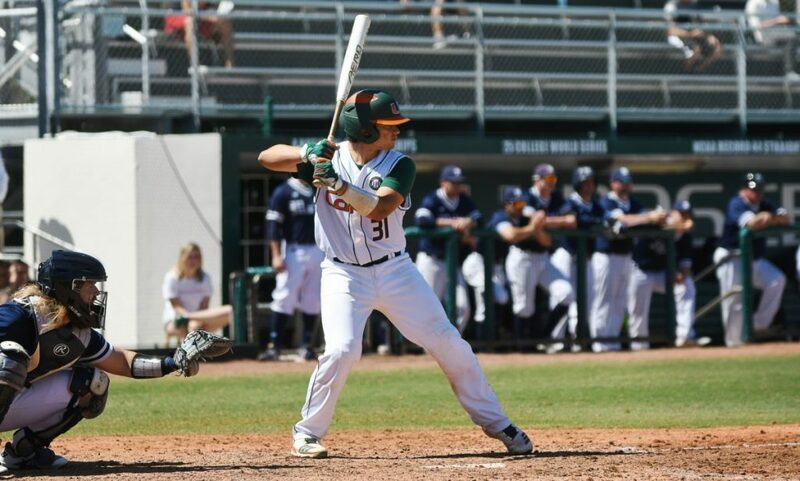 He got plenty of run support from freshman catcher Isaac Quiñones, who had four RBIs on the day. 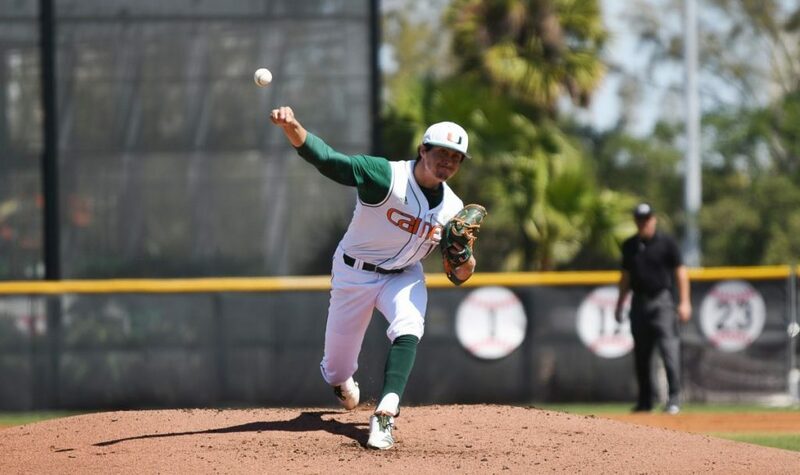 Evan McKendry (1-1) picked up his first win of the season and the fifth of his career, recovering nicely from the previous weekend when he surrendered four earned runs in a costly fourth inning. He took a no-hitter into the fifth inning, when Jonathan India doubled on a 3-2 count. Redshirt senior Michael Perez belted his first career home run with a two-run blast after a leadoff double by Michael Burns. 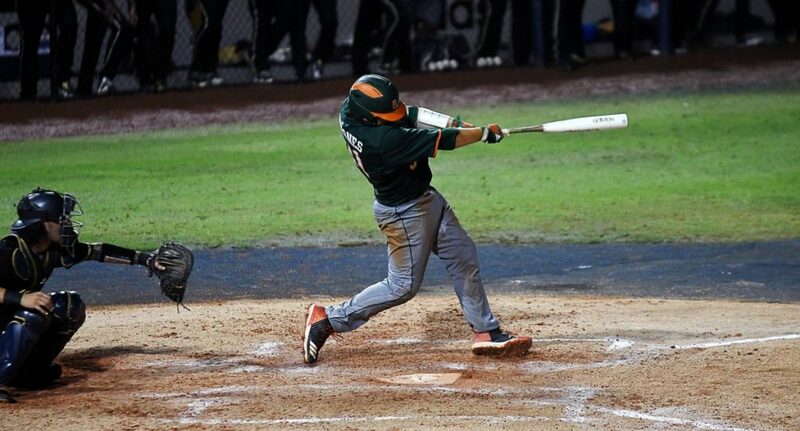 Later in the frame, redshirt freshman Michael Amditis drove in former Gator Danny Reyes with a two-out RBI single. Then the defending national champions delivered. 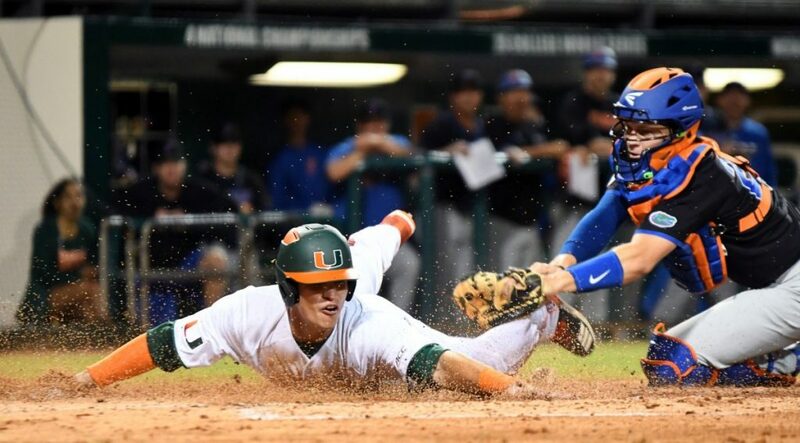 Despite registering only three hits in the fourth inning, the Tigers capitalized on multiple Miami miscues to score five runs, leading to a 9-0 Missouri rout.